The articles in American Scientist magazine are always timely, and look to present important research and work in a variety of subjects in the fields of science and technology. 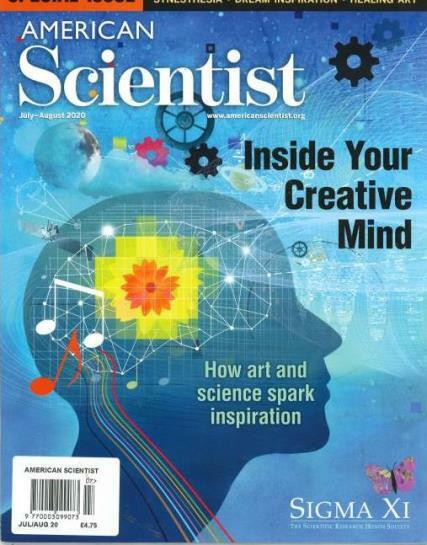 Buy a single copy or subscription to American Scientist magazine. The award winning publication provides in depth articles, usually four to five feature articles written by distinguished scientists and engineers. There is also fun in each issue with regular cartoon series by well known individuals such as Benita Epstein, Mark Heath and Sidney Harris. The magazine has as its goal to present science as a continuing adventure. The articles in American Scientist magazine are always timely, and look to present important research and work in a variety of subjects in the fields of science and technology. You will find articles on subjects from molecular biology to computer engineering. Every article is accompanied by illustrations to assist readers in understanding the subject matter.